Have you ever had an experience so moving, so otherworldly, you knew it just had to be the Lord sending the Holy Spirit with a special message for you? 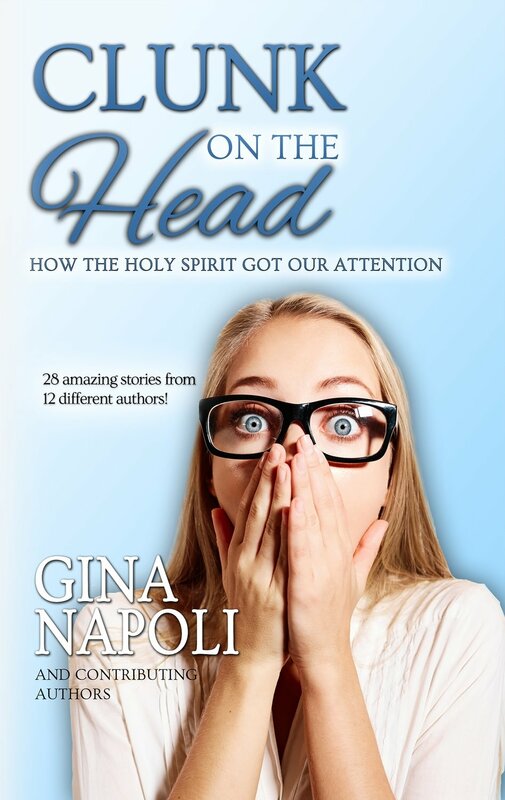 Clunk on the Head: How the Holy Spirit Got Our Attention is a collection of true anecdotes that focus on the Holy Spirit’s presence and direct interaction with me and the other authors whose stories are featured in this book. When the Holy Spirit makes God’s glory known, there is no mistaking He is connecting with you. Crafted with conviction, this book is comprised of incredible stories of how the Holy Spirit takes so many forms, clunking us over the head in creative and compelling ways. -Messages from the Lord spoken through others’ lips. -Opening the Bible to the exact page for a personal message from the Almighty. -Whispered words directly into the head and heart. -A mysterious messenger imparting impactful conversation. -A phone call at just the right moment. -Inner peace and knowledge that trumps all earthly reason. -An urge of strong conviction to share God’s Word. -A divinely inspired letter in the mail when most needed. -A perfectly formed vision that reassures the Lord has a plan. -An announcement of His sacred presence… the moment when the Holy Spirit pulls up a chair and invites Himself in. -A sense of just knowing everything would work out. -28 amazing stories from 12 different authors! I pray that you will feel prompted to write your own stories about the Holy Spirit, and how the Lord has worked and moved in your own lives. Let’s keep His momentum going.